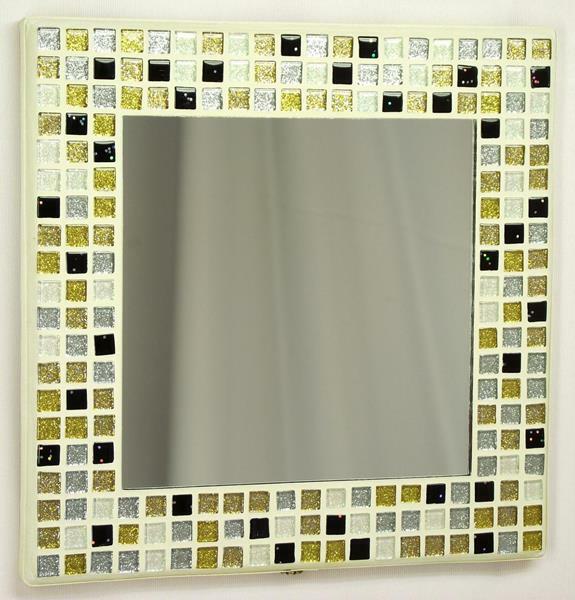 It is made from 204 tiles in 5 colours, with a nominal size of 23cm wide x 23cm high (approx 9 x 9 inches) and a 15cm x 15cm mirror. 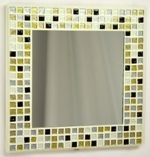 This photo shows the Midas Glitter 23cm Mosaic Mirror, in the Satin Edged format for wall hanging. 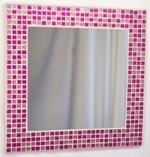 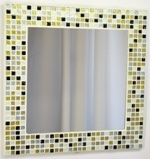 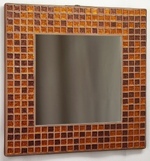 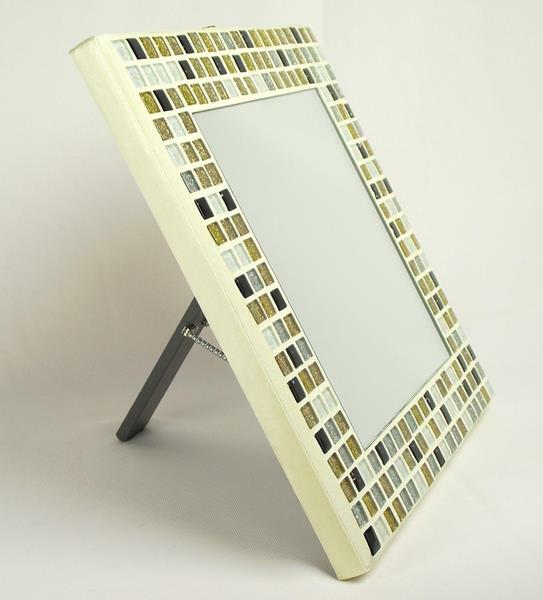 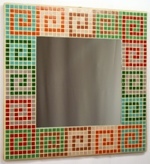 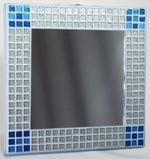 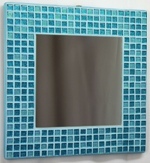 This photo shows the Midas Glitter 23cm Mosaic Mirror, in the Satin Edged format complete with Stand. 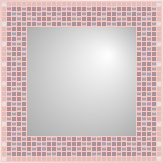 Add a sophisticated sparkle to your decor with this small glittering mirror.